Weight loss just might be one of the scariest and most anxiety-ridden phrases in the English language today. And for a good reason, too. All the fad and exotic diets that require you to eat food straight out of a horror movie. Various weight-loss pills bombarding your television and cell phone screens, stalking you like a mad man. “Experts” with questionable research and statistics that act just like Dr. Frankenstein or Mr. Hyde. It’s enough to make your skin crawl. But what if the fears you face regarding weight loss don’t actually stem from society. Below are five common fears people face when it comes to shedding pounds, as well as simple ways to overcome each. Failure is the most common fear that people struggle with when it comes to losing weight. And it completely makes sense why. Most people have tried multiple diets, programs, pills (you name it), without any real success, and they’re tired of not seeing the results. Attempt after attempt is draining on even the strongest-willed person. Pretty soon, all those failed attempts at weight loss prevent people from even trying anymore, because they already have it in their minds that it just isn’t going to happen. And the worst part about it all is that they blame themselves. The first part to overcoming the fear of failure is by realizing that you’re not the failure. It’s the diet, pill, or program that’s actually failed you—NOT YOU! Research shows that there are 15 common causes of weight-loss failure, and those diets, pills, and/or programs you’ve tried in the past only address one to four causes at most. And since most people struggle with a variety of those causes, their attempts don’t provide the results they expect. That’s why you need to take a fail-safe approach. You need a weight-loss system. A system gives you meal plans, products, support, and simple-to-follow instructions to cover all 15 causes of weight-loss failure. The Ultimate weight-loss starter system has all of it. 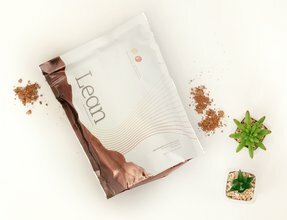 Thirteen products that cover 13 of the 15 causes themselves, along with two meal-plan options, daily support, and daily instructions to cover the last two causes. It’s the tried-and-true way to help you shed the weight and keep it off. Maybe you aren’t afraid to give weight loss another try. But trying something new can be a little intimidating, right? Fear of the unknown is real, and when it comes to weight-loss products, diets, or programs, you never know how your body’s going to react until you’ve tried them. There can be side effects to the weight-loss tools you try. You could be allergic to or hate all the food recommended for a diet. Or a program could sound a little too extreme for you to feel safe. If you’re afraid of the tool used to help you lose weight, how do you overcome that fear? Before anything else is said, realize that the best choice of action is to talk to your doctor before you begin any new weight-loss regimen. They’ll guide you toward what’s best for you and your overall health. Xyngular’s weight-loss starter systems are packed with many products made with natural ingredients, meal plans that have you eating real, unprocessed foods, and the support to cheer you on every step of your weight-loss journey. And if it’s the price of the weight-loss tool that scares you most, Xyngular comes with a 30-day money back guarantee. That means that if you don’t like or get the results you want within 30 days of purchase, you can return your system for a complete refund. Not too shabby, right? No, we aren’t talking about whether you’re good at relationships or not, we’re talking about your ability to stick to your weight-loss plan long term. The truth is, lasting, healthy weight loss doesn’t happen overnight. It takes time. And depending on how much weight you’ve got to lose, it could take a little longer than you might like. Knowing that results take time can slowly kill your desire to reach your goals, and along with it, your motivation. Weight loss also takes work—maybe even more than most realize. And when things get too hard, waving that white flag of defeat sounds more and more tempting. If you struggle with staying committed to your weight-loss plan, what can you do? Support and accountability are key when it comes to keeping your focus and commitment to your goals. Think of someone that will support you through your entire health journey. 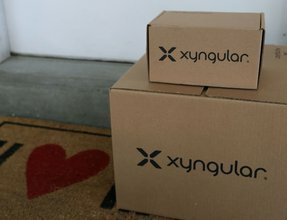 It can be a family member, a friend, or even a fellow Xyngular family member. Whoever it is, make sure it’s someone you see often, so that they can keep you accountable and cheer you on when things get tough. Besides a family member or friend, you can rely on Xander, your own virtual coach. Xander comes with every Xyngular weight-loss starter system and makes it easy to stay on top of your goals. This handy coach gives you daily reminders, helpful info, and is with you for the entirety of the system to make sure you have a way to stay committed. It might sound a little weird, but fear of the results is actually a possibility. 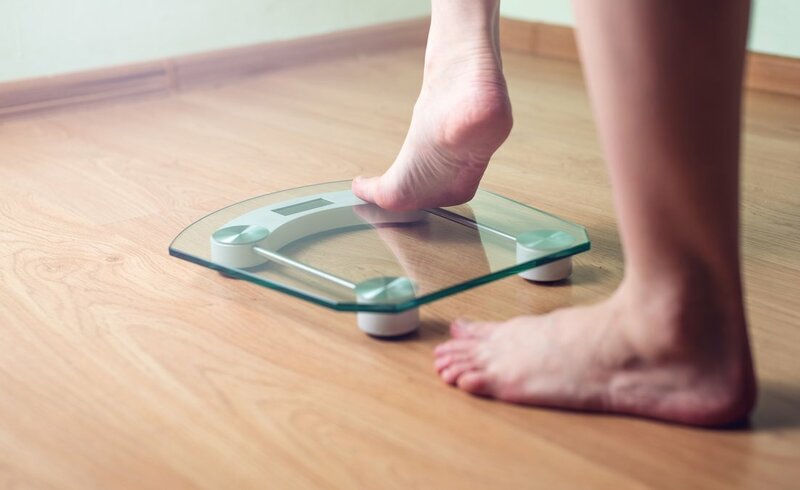 Some people fear that they might not like the way they look after they lose weight. These are just a few of many different reasons people fear the end result of their weight-loss journey. But do those outweigh the reasons why you shouldn’t fear the results? It’s time to start thinking about all the positive results of weight loss, because they definitely outweigh the negative. The list doesn’t end there either. But if that doesn’t fully convince you of the positive power of weight loss, take a look at your Xyngular community. Scroll through Xyngular’s main Facebook page and you’ll find video after video of people who’ve lost weight and are so grateful for the benefits they now enjoy. As you begin to lose the weight, excitement will kick in, and you’ll forget all about the results you feared. You’ll begin to notice all the positives and won’t want to turn back. The final fear you may struggle with is the fear of attention. Weight loss is a transformation, and a noticeable one at that. People will more than likely see a difference in you. Even if you’ve only lost a few pounds, most of the time, weight comes off around the face first. Since people look at your face when they talk with you, they’ll most likely notice a change. The only problem with that is you might not like to be the center of attention. And then there are those people you don’t see often. When you’ve lost a good amount of weight, and maybe even dropped a few sizes in clothing, those people you run into rarely will definitely take notice. So how do you deal with the attention you’ll most likely get? The single, best way to overcome the attention you’ll receive is by embracing it. It may be hard, but most people will ask you what you’ve done because they’re looking for a way to succeed at their own health journey. Use that attention as a way to help others. Share your story. Let them in on all the details. And more than likely, once you’ve reached your goals, you’ll want to start helping others. And if we’re totally honest here, you may end up liking the attention, even just a little bit. After all, most of us spend a lot of time looking at success stories, wishing we looked and felt like the people in the pictures, and once we get to that point, it’s not a bad thing to be proud of what you’ve accomplished. There are so many different factors that prevent us from losing the weight we want, but our own fears shouldn’t be one of them. Of course, there are reasons to get a little nervous about shedding those pounds, but there are almost infinitely more reasons to give it all you’ve got! You deserve to have the best quality of life possible, and improving your overall health is a great place to start. Turn that scary phrase, weight loss, into a phrase of success and positivity. Xyngular’s Ultimate weight-loss starter system can help overcome any fear that’s keeping you from your results. 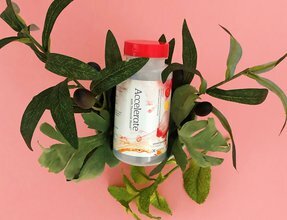 Its fail-proof products, daily support, and quality of results is just what you need to help you reach your goals and never look back. Talk to a Distributor and order yours today! Don’t know a Distributor yet? Call 801.756.8808 for more information.